Briefcases are out. The best business backpacks are in. Before Y2K, people didn’t travel with laptops often. Briefcases could hold everything you needed. Today things are different. Gone are the notepads and in are the laptops, smartphones, and tablets. 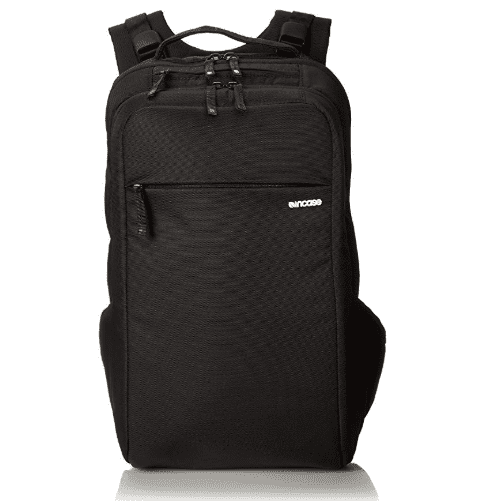 To protect your devices, you should invest in laptop backpacks if you frequently go for business trips. While you can buy a traditional JanSport backpack, a North Face backpack, or whatever pack you may have had in school, we recommend you invest in a business backpack. Not only will it protect your gear better, but it will better protect your back as well. Here are our buyer’s guide and our top 5 picks for the best business backpacks. If you’re starting your career, you can’t afford to spend a lot of money on laptop backpacks. Even if you can, you may not want to. 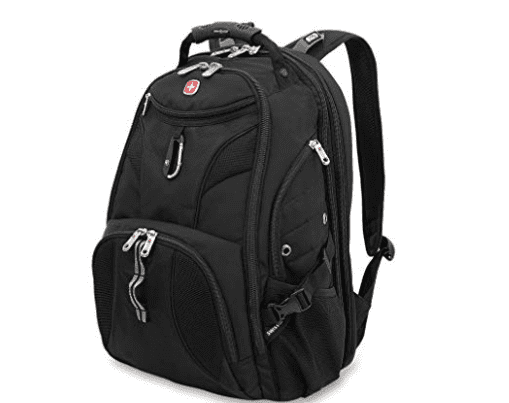 If you’re looking for a cost-conscious backpack, check out the Swiss Gear 1900. Comfortable build: This bag is built for comfort. The shoulder straps are contoured and padded, and the back panel has airflow ventilation for superior comfort and support. Durable materials: The backpack is made of 1200D ballistic polyester and can withstand harsh weather and heavy use. Multiple Compartments: In addition to a laptop compartment, the backpack has easy access front pockets and breathable side pockets. Padded laptop sleeve: The Swiss Gear hold and protect a 17″ laptop. Price: This backpack is more affordable than other travel backpacks on the market. TSA Approved: Go through airport security quickly with this backpack. Sporty Look: With its overall sporty design, it looks like you could be ready for a weekend of rock climbing. If your office has a strict dress code, they may oppose the casualness of this backpack. Do you work in finance or accounting? If so, security is a top priority for you. You need to ensure that your laptop is password protected at all times, but you also need to keep it physically protected. In cases like these, the Pacsafe Metrosafe LS350 is the one for you. High comfort: This backpack features adjustable padded shoulder straps and a padded back. Low price: With so many features, you might assume this backpack would be at the higher end of our list, but you’d be wrong. It’s one of the more affordable bags on our list. Top Security: This backpack places security above all other needs. It is comprised of cut-proof materials (steel mesh) and features lockable zippers to prevent pickpockets and others from slicing open your bag. It also has an RFID blocking pocket to secure your credit cards and IDs. No travel handle: If you want to use this as a carry-on when you travel, it’s great. However, unlike other travel backpacks, this does not have the type of handle that allows it to slip over your luggage handle. The Incase Icon Pack is not a budget-friendly backpack, but it does have the most storage. Thus, if storage is your top priority and you don’t mind spending a bit more than you normally would, the Incase Icon Pack tops our list. 17 Compartments: Most business backpacks have a laptop compartment and maybe a few other pockets, but this one has 17! Have cords, electronics, food, change of clothes, and other items you like to keep separate? Then this is the one for you. 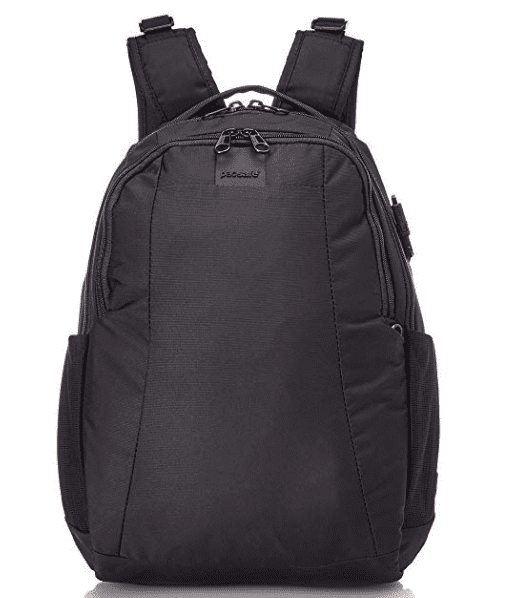 Excellent comfort: Padded straps and back made this backpack excel in the comfort category. High durability: This backpack is sturdy and can even stand up on its own, which makes loading and unloading a breeze. Padded compartments: Several compartments are padded, offering extra protection for your gear. High price: As we said above, this backpack is not budget friendly. No travel strap: This backpack doesn’t have a pass-through handle or strap so you can attach the bag to a rolling carry-on bag. If you often travel for work (whether a day trip, overnight trip, or week-long trip), you’re going to want a TSA-approved, small, lightweight, and comfortable backpack. In our opinion, the best for your money is the eBags TLS Mother Lode Weekender. Carry-on approved: This size of this bag is the right size to meet domestic and international carry-on size limits. Extra comfort: The back panel is made of padded-air mesh for breathability. The sternum strap is adjustable and removable as well. Full expansion zipper: Being able to unzip the bag completely makes it easy to pack. Hidden passport pocket: The passport pocket makes this backpack perfect for international travel. High security: The zippers feature lockable rings. Bulky size: Users have commented that this bag is bulkier than others, particularly for shorter people. If you’re looking for an everyday backpack for your morning commute, you’ll want something comfortable, durable, and attractive. If that’s the case for you, check out the Herschel Little America Backpack. It’s the most attractive of the backpacks on our list and is also affordable. Affordable price: It will fit in many buyer’s price ranges. 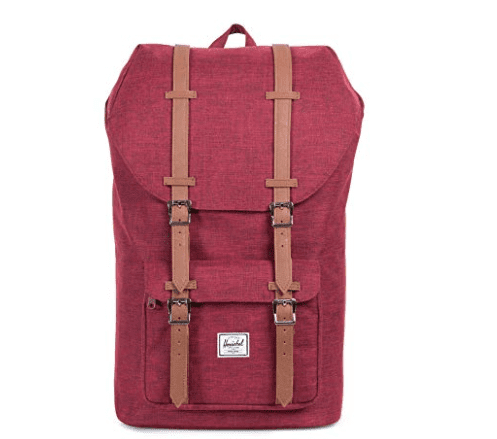 Color options: This Herschel backpack comes in 28 different colors and patterns. Good comfort: This bag has contoured shoulder straps and air mesh back padding to make it super comfortable. Several compartments: The front compartment features a hidden zipper and key clip, while the main interior pocket features a padded and fleece lined 15-inch laptop sleeve. 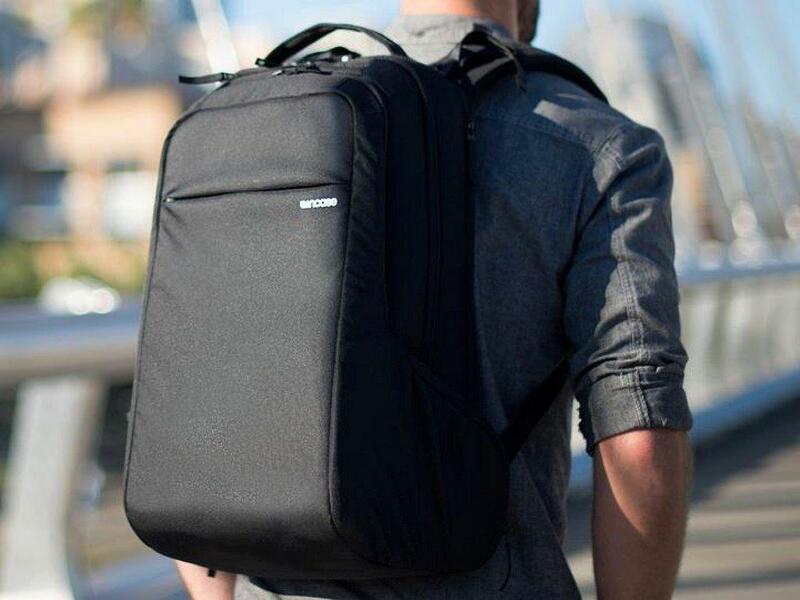 Built for Mac laptops: This bag is ideal for apple computers. Some other laptops have issues fitting in the 15″ sleeve. 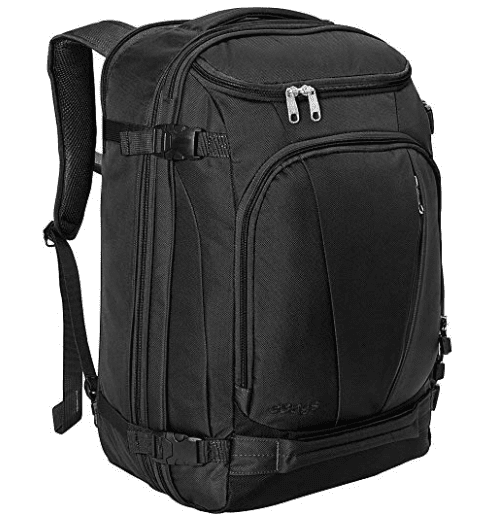 Business backpacks are suited for the modern day workers who use a laptop or tablet while in and out of the office. These bags are suited for those who commute to and from to the office, meet clients out of the office, travel on airplanes, and like to be connected to a secure VPN. While (most) business people no longer have to carry around large files, they do need to carry around a laptop or tablet or other electronics. While women can throw their computer or tablet into a big shoulder bag, the bags get heavy and can cause back and shoulder pain. The same happens to men who tote messenger bags or other shoulder bags. A well-designed backpack can prevent discomfort and pain. If you frequently travel with heavy items or work materials, a business backpack is a good investment for you. If you’re a workaholic, are career-driven, or don’t want to get fired, you likely bring your laptop home with you every night. After all, the job doesn’t necessarily stop just because you’ve left the office! A business backpack can help protect your back, posture, and health when you’re carrying that laptop around. Backpacks are better at distributing weight than shoulder bags, which means that backpacks won’t cause as much strain on your shoulder or back. They can help prevent joint pain and keep your posture better aligned. Less back-strain = less joint pain = fewer trips to the chiropractor and overall better health! In addition to keeping you pain-free, they help keep you organized as well. There’s a space for your laptop (usually padded and lined with fleece or another type of scratch-proof fabric), your book or kindle, chargers, and even clothes if you don’t’ have time to change before going from the office to the gym. There’s typically even a place to hold your water bottle. There are thousands of business backpacks on the market, so how do you know how to find the best one for your needs? First, specify to the salesperson or if you plan to buy from Amazon, then search for laptop bags or laptop backpacks.. Next, consider the following categories. If you’re going to get a one, you plan to use it. But no matter how functional it may be, you might not use it if it’s ugly. Thus, the overall design is important in terms of aesthetics, not just functionality. In terms of functionality, think about where and why you will use this backpack. Is it just for going to and from the office, or will it double as your carry-on bag? If you will travel with it, make sure it has external compartments for items you need to grab easily like a phone charger, portable battery, book, snack, or water bottle. Will this backpack need to get you somewhere other than home after work, like the gym or a restaurant? If so, is there room for gym clothes or non-work attire? Consider your priorities and needs to help you make the best buying decision. Losing a laptop is the worst — especially when losing one to theft. Laptops aren’t just expensive. They hold a lot of sensitive information like access to confidential emails and documents and company finances. Thus, it’s imperative to protect your laptop itself from being stolen. One of the best ways to prevent a laptop from being stolen is by not letting anyone know you have one. Some backpacks have internal, secure laptop sleeves that hide a computer even when the bag is open. Others have extra security measures such as wire mesh fabric to prevent someone from slicing your backpack open and stealing its contents, security clips, and smart zippers to prevent against skilled pickpockets, and even turn-and-lock hooks. You also want to keep your laptop protected from water damage or other hardware damage. Some laptop bags are waterproof or water resistant. Others are super-padded to protect its contents should you fall or drop your bag. 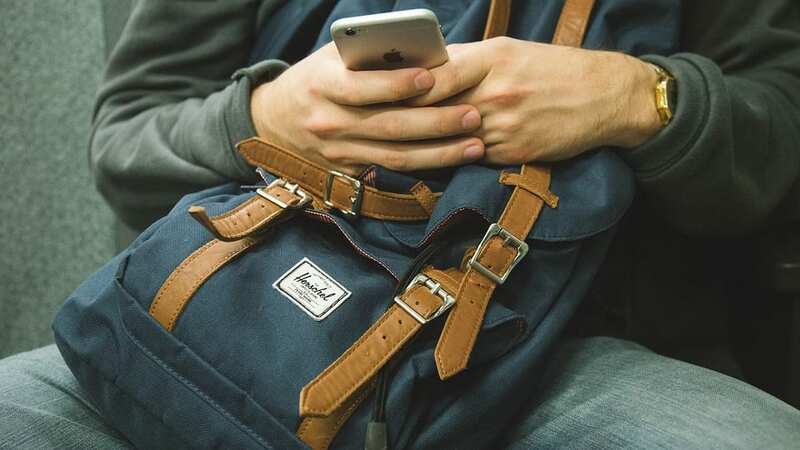 If the threat of theft or physical damage is a significant concern for you, make sure security is at the top of your list for backpack requirements. For extra peace of mind when you travel, consider travel insurance. Do you carry a lot of stuff? If so, you’re going to want a business backpack with a lot of compartments. While a padded laptop sleeve is standard on all business backpacks, some (like the Incase Icon Pack) come with a lot more pockets. Interior compartments are helpful when you want to stay organized. If you want to know exactly where everything is, get a bag with a decent amount of pockets. Not everyone needs 21, but we recommend finding a good backpack with at least five compartments. Comfort is one of the most important aspects you should consider. A backpack with naturally distribute the weight of its contents, but carefully consider the shoulder, sternum straps, and back support. How does it feel when it hangs off of your shoulders? Are the shoulder straps padded, and do they contour to fit your body? If not, you may want to find another. How does the backpack feel against your back? Do you feel some of your items jutting into your spine, or do you feel the pad of the pack? If it’s the latter, you’ve found a good one. Not everyone needs a massive backpack. If you only need to carry a laptop and notebook, you can get by small laptop bags. However, if you want a backpack you can take on overnight business trips that can hold your pajamas and toiletry bag, you may want to invest in a larger backpack. If you do go for a large size, make sure it’s TSA-compatible and small enough to be considered a carry-on bag. Next time you need one of the best business backpacks, use this list to help you pick out your travel companion. After you’ve selected your ideal business backpack, you might still need other luggage. Look at our guides and reviews for checked bags and carry-on bags for more information.